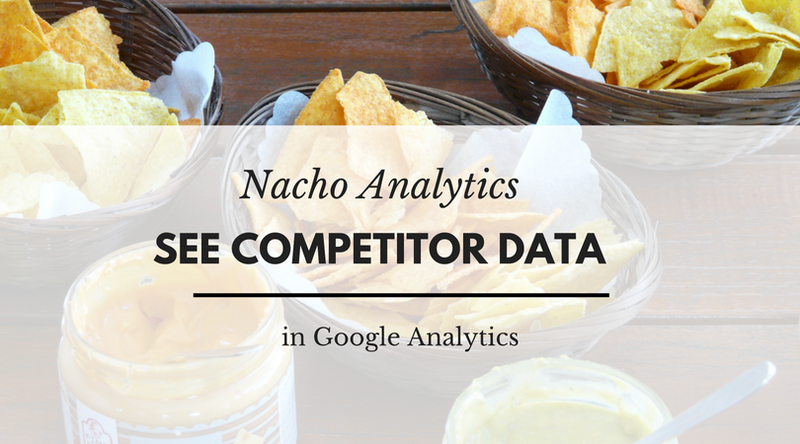 Nacho Analytics is a new analytics platform from the creators of SpyFu. It lets you look at a simulation of your competitors’ websites’ traffic in Google Analytics. It is very cool and I think it will be very useful. I’m still exploring the ins and outs of it in the process of doing market research for our appointment scheduling software app. I had some trouble signing up at first, but by the next morning the support staff resolved it and I got access successfully. There are some quirks, for example “spyfugenerated” shows as a keyword in acquisition reports, but it is wonderful seeing acquisition sources and other data in the familiar Google Analytics report interfaces. The Nacho Analytics launch video webinar gives a good overview of the platform. In that video, the founder of SpyFu (and now founder/CEO of Nacho Analytics), Mike Roberts, demos the Nacho Analytics tool in all its glory. There’s some useful info in the Nacho Analytics discussion on reddit, but the gist of it is that it may or may not be useful for you, and if you’re not sure then do the free trial and see how it goes. Also, one final thing I learned from the launch video: If you see Mike Roberts at a bar, go up to him and say “Nacho Daddy” and he’ll buy you and your friends free drinks. Co-founder of GoReminders (the simplest appointment reminder service), helping businesses save time and make money.